Up to 10% higher cruising mpg. No compromise in holeshot or top end speed. 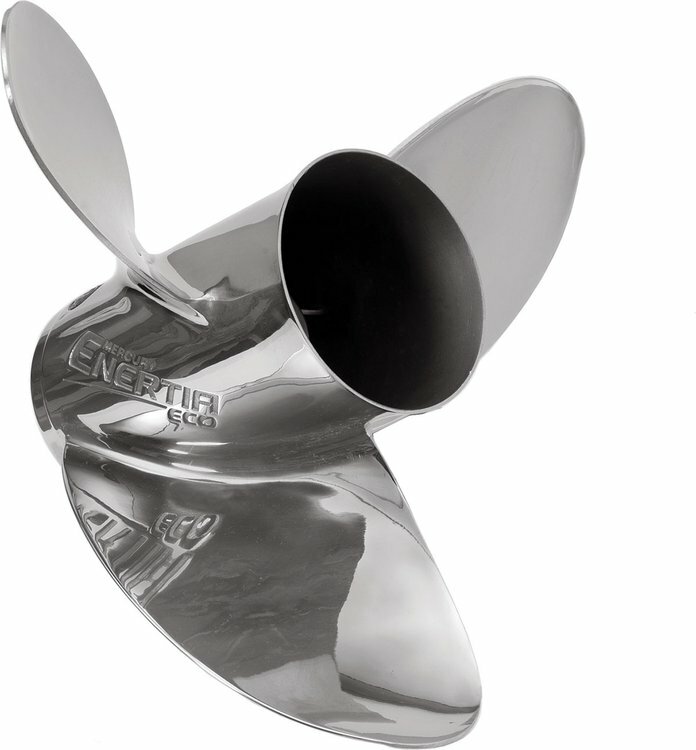 The Enertia ECO propeller is an innovative product specifically designed to provide optimal fuel economy and performance at cruising speed, the engine rpm range where boaters spend most of their time. To maximize fuel economy and performance at cruising speeds, Mercury engineers designed the new propeller with a large 16-in. diameter, extra-large blade area and a high progressive rake for increased bow lift. This additional lift provided by the Enertia ECO results in significant gains in fuel economy while also improving speed and acceleration.